Pixelbook is easy to use, always has the latest security and features with software that updates automatically, and keeps going with a long-life battery, so you can do more of what matters most. The advantage of Chrome powered operating system laptop - it's light to use, Faster boot time, and virus free compared to most Windows powered. 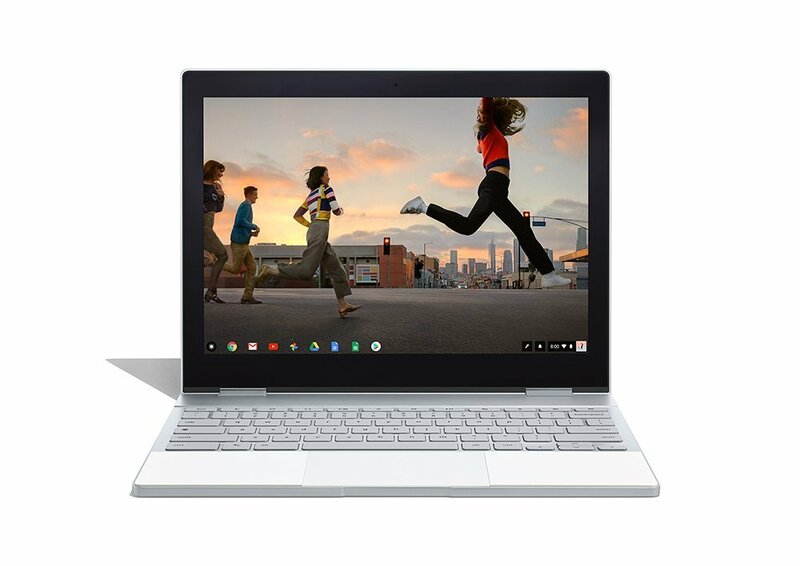 Chrome OS was developed by Google and there is no better laptop powered with this operating system than its very own Google Pixelbook. It’s the first laptop with the Google Assistant built in. Press the Google Assistant key on your keyboard or say “Ok Google” to get started. The Google Assistant is always ready to help. With Pixelbook Pen, press and hold the button. Then circle images or text to get answers or take action. Features 7th Gen Intel Core i5 processor, 8GB RAM and 256GB for storage. The long lasting battery delivers up to 10 hours of use and it’s fast charging so you can get 2 hours of use in 15 minutes. Comes with 4-in-1 design adapts to whatever you’re doing with laptop, tablet, tent and entertainment modes. Access to favorite apps including Google Drive, Gmail, YouTube, Evernote, Slack, Infinite Painter, Lightroom, Roblox and many more. Pixelbook’s super thin and lightweight design measures 10.3 mm and weighs 2.45lbs. Features a 12.3” 360° touchscreen display, a sleek aluminum body, Corning Gorilla Glass and a backlit keyboard. Powered by Chrome OS with automatic software updates so you’ll always have the latest virus protection. It starts up in less than 10 secs, stays fast throughout the day, and won’t slow down over time.